There's no getting around it: If you have severe food allergies, you need to keep an epinephrine auto-injector (either EpiPen or Auvi-Q, or a generic equivalent) with you at all times. But if you don't have health insurance—or even if you do have insurance but carry a huge deductible—you might wonder how you can pay for this very necessary drug, which may cost more than $600. Unfortunately, these injectors aren't cheap, and you may need more than one (say, one to keep at school and another to keep at home for a child). Luckily, there are still some options for individuals without health insurance or who have insurance with large deductibles to obtain medicine like an EpiPen. Here are six options you can pursue to help pay for epinephrine if you find you need help. Depending on your financial situation, these options may reduce the cost, or even enable you to get these medications for free. Allergists sometimes receive samples of these medications from the companies that make them. If your financial situation makes it difficult for you to afford these medications, your allergist may be able to give you a sample for free, or may be able to help you locate a discounted source. Do make sure, however, that you check the expiration date on anything you get this way, as the devices may have been sitting on the shelf a while. Most states offer some form of prescription assistance—usually more than one—targeted at people of different ages or special needs. You can do a Google search for your state or check out a website like NeedyMeds to select a plan based on your state. If you move, however, you will need to select a new plan. Check before selecting a plan to see whether a plan available in your area will cover epinephrine; many do not cover it. If your income is low, you may be eligible for subsidized insurance through the healthcare marketplace at HealthCare.gov. In some cases, your copayments and deductibles will be covered, as well. People with very low incomes may be eligible for their states' Medicaid programs—eligibility varies by state, so you'll need to check with your own state to determine if you qualify. Patients must be U.S. citizens or legal residents and complete a patient assistance form with their doctor. Eligible patients must have a yearly income that's less than 400% of the current Federal Poverty Guidelines, based upon family size, and must meet other requirements regarding insurance status. Verification documents will be required. Get more information on the program by emailing customer.service@mylan.com or calling Mylan customer relations at (800) 395-3376. Discount pharmacy websites such as GoodRx allow you to obtain your prescriptions at discounted prices that are similar to the prices that a large insurer would pay for the same drug. They also allow you to compare cash prices and discounted prices for nearby pharmacies, all on the same page, and to choose which pharmacy you'd prefer to use. As prices of epinephrine auto-injectors began to soar over the past few years, customers began clamoring for a less expensive generic alternative. Amedra Pharmaceuticals stepped up with a generic called Adrenaclick that retails at CVS Pharmacies for $110. When you include a coupon that's often available from the manufacturer, that can lower the price of these injectors to just $10 for a two-pack. If you decide to take this alternative, make sure to ask the pharmacist for a training session on how to use the device. Mylan also offers a generic version of its EpiPen that's priced lower than the brand-name drug. If you're switching devices—for example, from a brand-name EpiPen to the generic Adrenaclick, or from EpiPen to Auvi-Q—make sure you know exactly how to use your new device. You don't want to be fumbling for the instructions in the midst of an allergic reaction. In addition, if you're having trouble affording your epinephrine auto-injector, talk with your physician about your alternatives. She may know of local programs that can help. 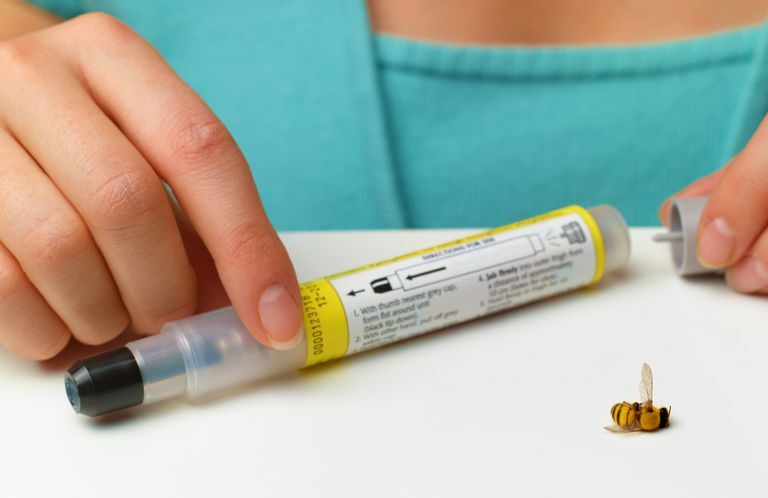 Rubin R. EpiPen Price Hike Comes Under Scrutiny. The Lancet. 2016 Sep 24;388(10051):1266.